The rapid prototype process, and the 3D printing that makes it possible to create physical objects from computerized data, is without a doubt one of the most powerful tools to be introduced to the manufacturing industry. The ability to generate actual 3D models of virtually any object has provided designers an indispensable tool for validating design concepts quickly and easily. Like any other new technology, there are plenty of misconceptions, rumors, and myths about 3D printing that are in desperate need of debunking to allow the process the reputation and popularity it deserves. Here then, are three of the most common myths about 3D printing that are long overdue for an explanation. In the early days of 3D printing, the material used to create the item was sliced thinly and stacked in thousands of layers. This lent the finished item limited strength as the bonds between slices was tenuous. The technology of today uses very different methods to generate the model. Selective Laser Sintering (SLS) uses plastic, metal, or ceramic media which is then fused by laser, producing an object that is seamless and strong. Fused Deposition Modeling (FDM) uses a similar technique, using plastic or metal wire filaments that are melted and fused into a solid, thereby creating the part. Typically, people have a tendency to avoid high technology because they assume that the cost must be high. In the case of 3D printing however, this is simply not true. The computer programs that generate the three dimensional data have long been in use, and the printers themselves are becoming more and more common. When compared to the cost of pilot manufacturing operations costing in the thousands, a few hundred dollars spent on a 3D model becomes the obvious economic choice. Many people have the impression that 3D printing can only create solid objects. The reality is, 3D printing works from the top down, forming each layer using an outline of the part from an elevated viewpoint. This process allows the creation of virtually any shape and geometry, even designs with complex internal features. 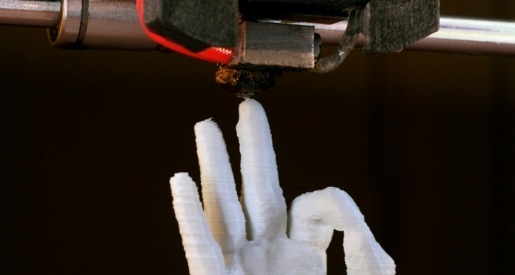 There is no doubt that 3D printing represents the future of manufacturing. As more myths about 3D printing fall away, more people will realize the unlimited potential of this powerful technology.